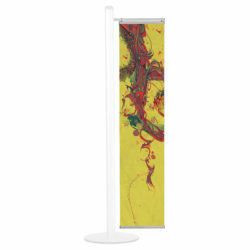 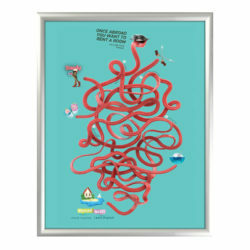 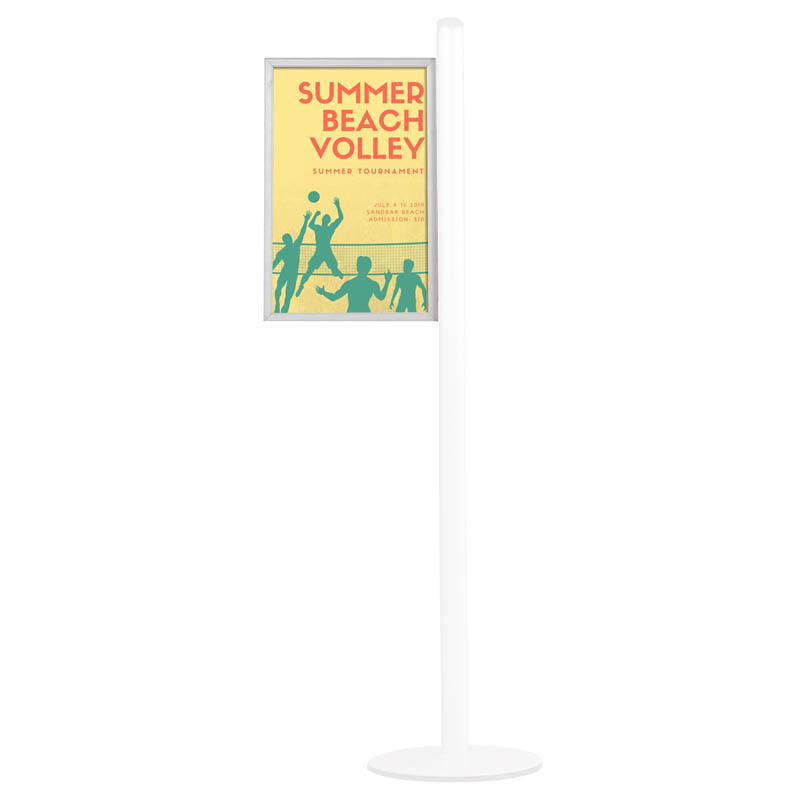 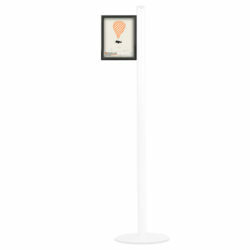 Easy use slide in frame, 14″ x 22″ graphic size to se with free standing brochure stand that permits an indoor use of different models. 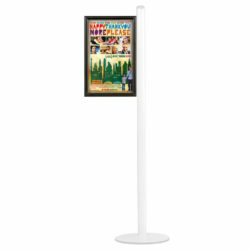 The fixing grooves on both sides of the central pole hold single-sided or doublesided frames and shelves separately or collectively at the same time. 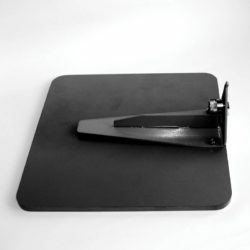 Suitable for use both portrait or landscape position.